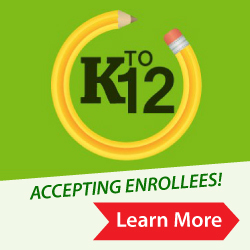 We are proud to announce that our NC II Courses for DEPED Teachers are now available! 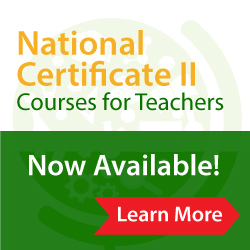 Upgrade your teaching skills set with the following NC II courses. Evening 5:00 p.m. to 9:00 p.m.
For more information on registration and admission process, you may visit our Antipolo campus or call/text us through the contact numbers below. You may also send your inquiries through the contact form below. SPI Antipolo reached another milestone by becoming one of the tertiary institutions that is now authorized by the Department of Education (DepEd) to offer Grades 11 and 12 . Hospitality Services & Tourism Mgt. This course is a competency based program in care giving which shall develop the knowledge, skills, attitudes, and competencies of a trainee in the relevant employable skill in care giving for him/her to provide quality services in performing the job in a private household or institution, local and overseas employment. Training consists of modules that focus in humanistic concern covering the entire spectrum of caregiving from infant care to elderly, to end of life care. Enroll in our Baccalaureate Degree Programs and be part of the growing number of teachers, managers, computer specialists and hotel and tourism personnel locally and abroad. With the latest approved salary for teachers in the public education and the ever increasing demand of high-paying teachers and hotel and tourism personnel globally, you surely get a rewarding career in our BS programs. A course that gives an over-all view of the micro-computer systems hardware. This course prepare the student s to work as skilled-service technician, computer operator, and competent personnel in the field of technical/engineering and consulting services, software services and microcomputer repair. This course is design to give an over-all view of the electronic systems analog and digital instrumentation and control, electronic troubleshooting and design. This prepares the individual to work as electronic technician, field service technician, or in technical/engineering and consulting services. A competency-based course designed to prepare the future accounting personnel to be able to perform accounting operations with the use of computer. It mainly focuses on bookkeeping and accounting system and computer office management to develop them as financial assistants or accounting clerks in financial institutions of offices here and abroad. This course is designed to enhance the skill, analytical and technical know-how of potential system and analyst and programmers by giving them hands-on computer training. This introduces students in the different computer programming languages.